When entering always say "Laissez les bons temps rouler!" The New Orleans’ Preservation Hall was established in 1961 to honor one of America’s truest art forms – Traditional New Orleans Jazz. Operating as a music venue, a touring band, and a non-profit organization, Preservation Hall continues its mission today as a cornerstone of New Orleans music and culture. Situated in the heart of the French Quarter on St. Peter Street, the Preservation Hall venue presents intimate, acoustic New Orleans Jazz concerts over 350 nights a year featuring ensembles from a current collective of 100+ local master practitioners. On any given night, audiences bear joyful witness to the evolution of this venerable and living tradition. 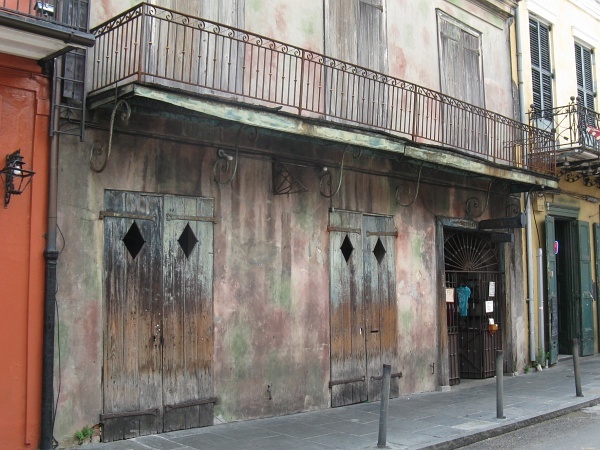 Preservation Hall is housed in one of the oldest buildings in the French Quarter. It was built in 1750. It seems to be a very improbable place, almost hidden. When I went there to listen to music I half expected to see something supernatural happen. This is the real deal New Orleans. Admission is valid for one 45-minute performance. General Admission is CASH ONLY.